As we get closer to the 20th Anniversary celebrations on April 22nd, Disney continues to debut new merchandise for the event. We’ve already covered two waves of merchandise releases at the park (here and here), but today we’re back with some good news for those of you who like to collect pressed pennies. 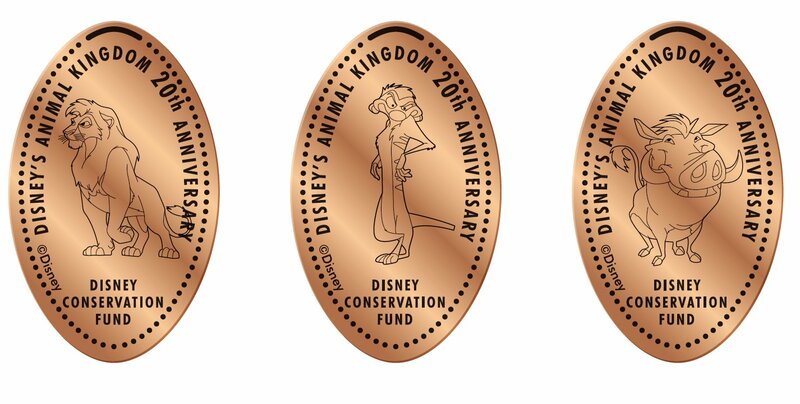 Disney’s Animal Kingdom has new pressed pennies featuring Simba, Timon, and Pumba which are now available in the park to celebrate their 20th Anniversary!